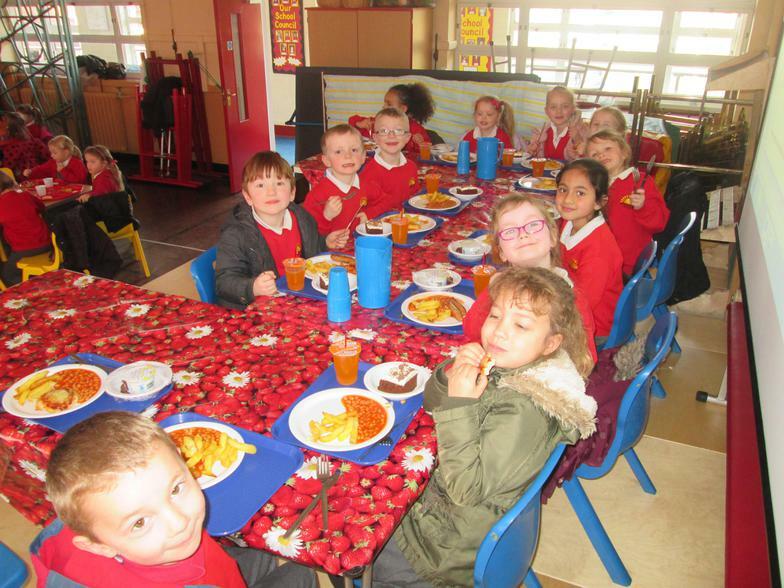 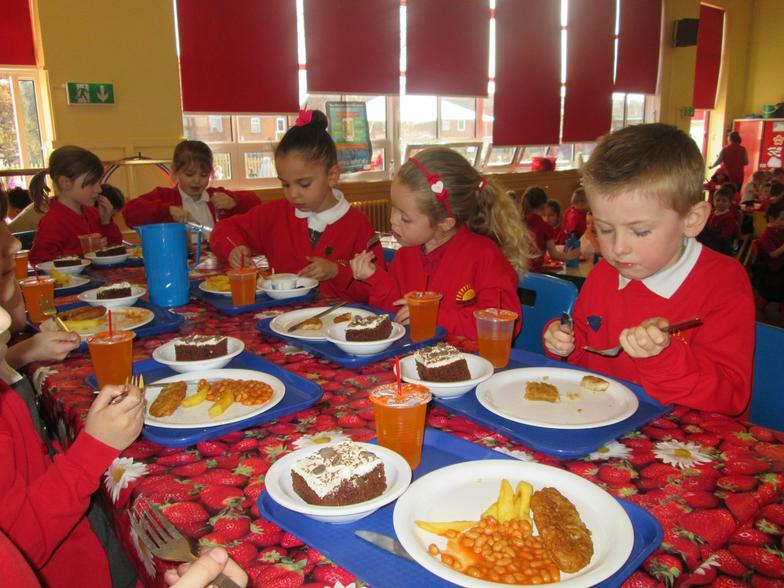 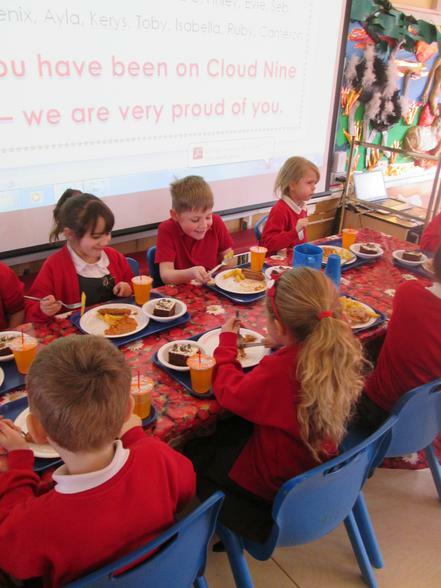 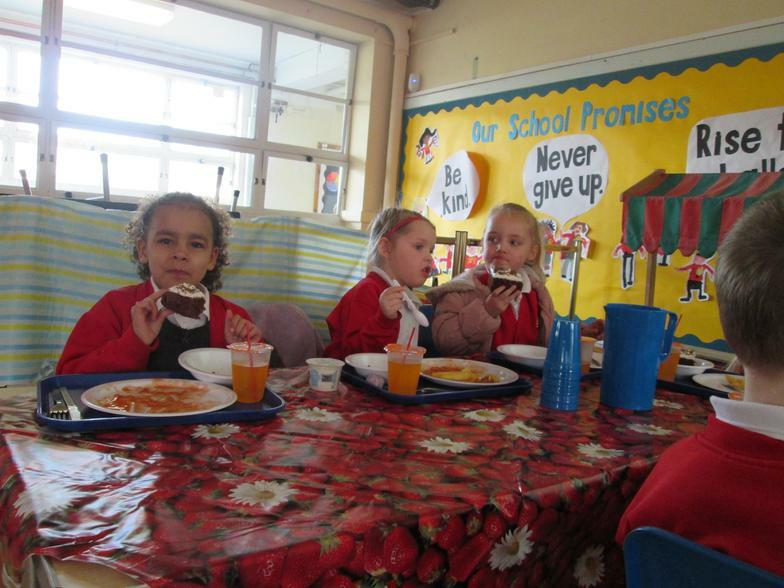 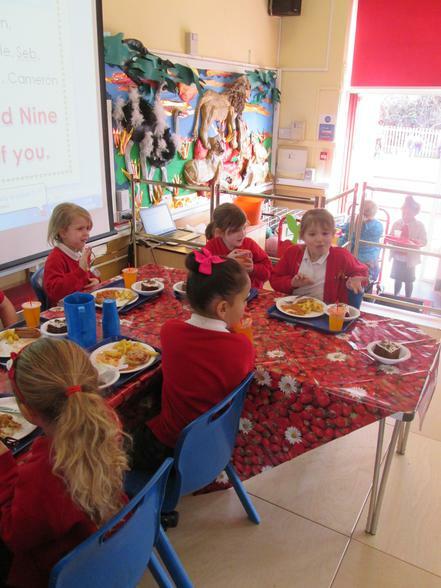 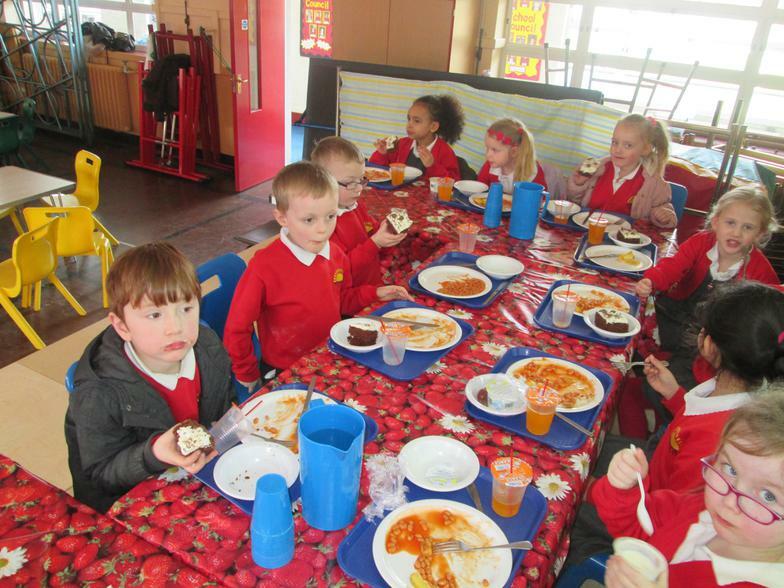 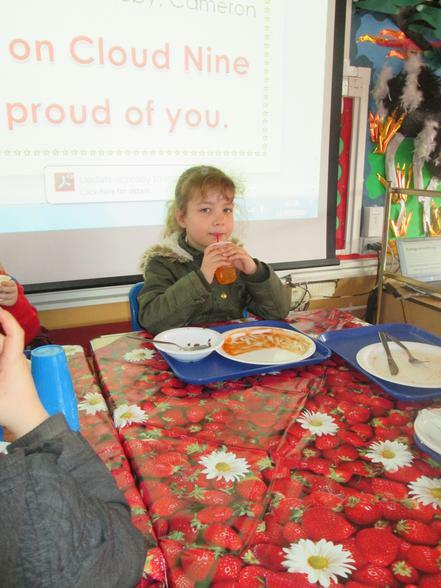 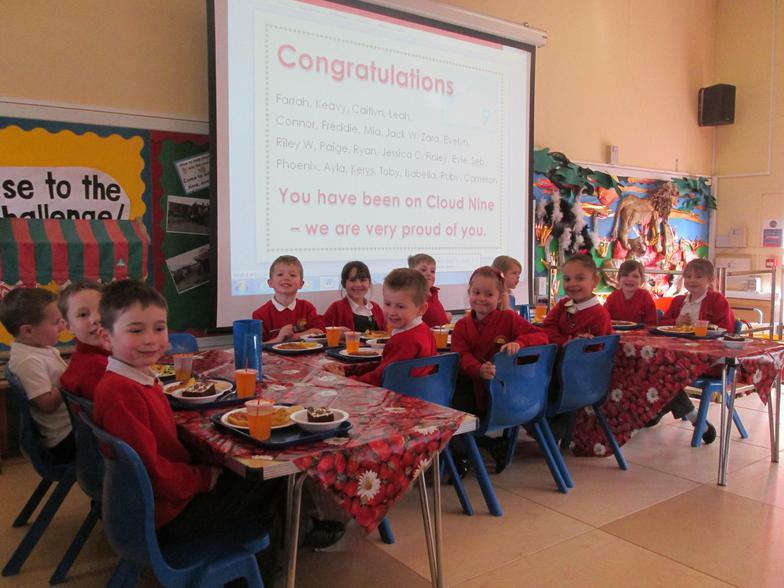 Cloud 9 Lunch celebrates success! 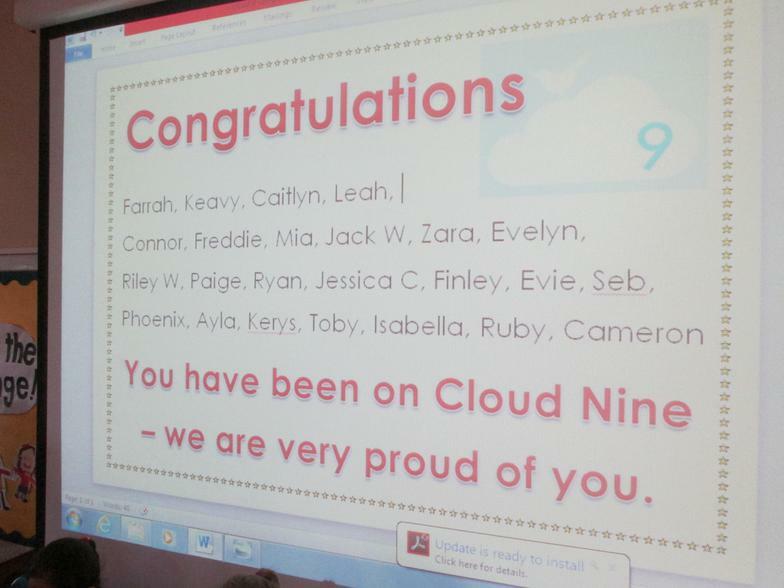 I have just spent a fantastic lunchtime with our cloud nine superstars. 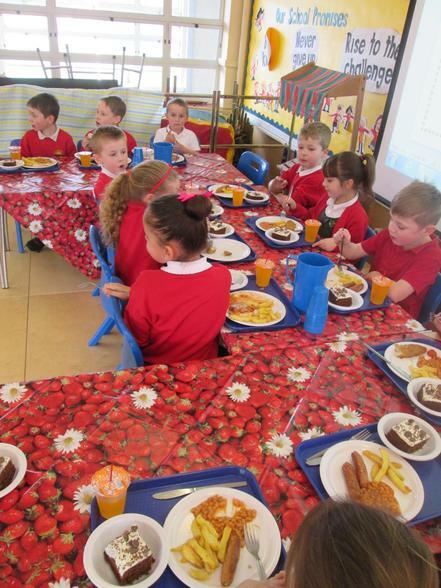 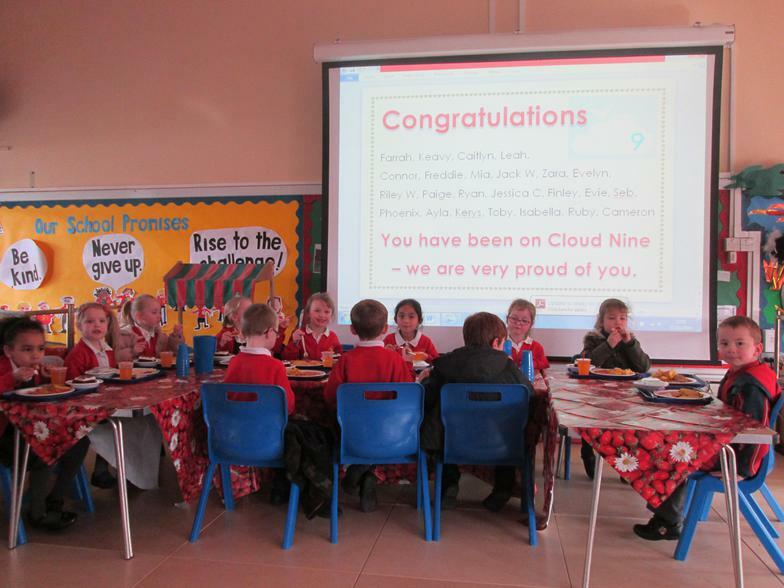 All of the children had been placed on 'Cloud 9' in their classroom for outstanding learning or learning behaviour. 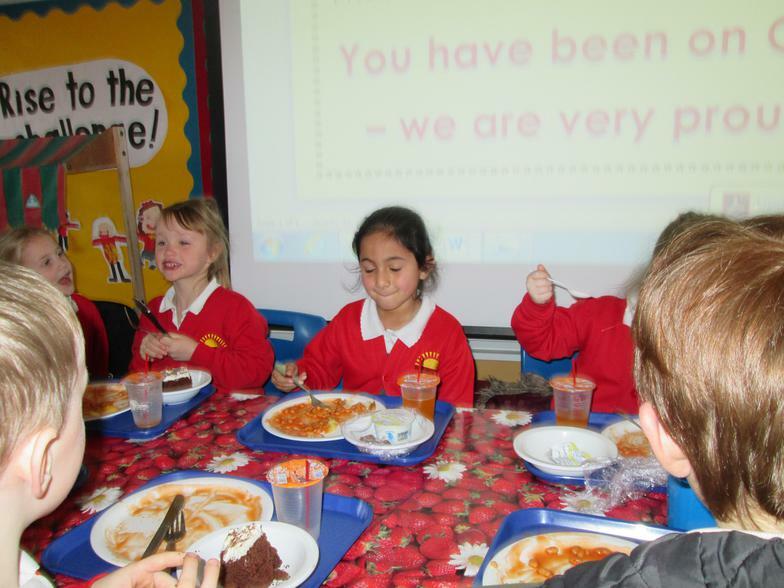 They all enjoyed their lunch and were an absolute pleasure to chat with. 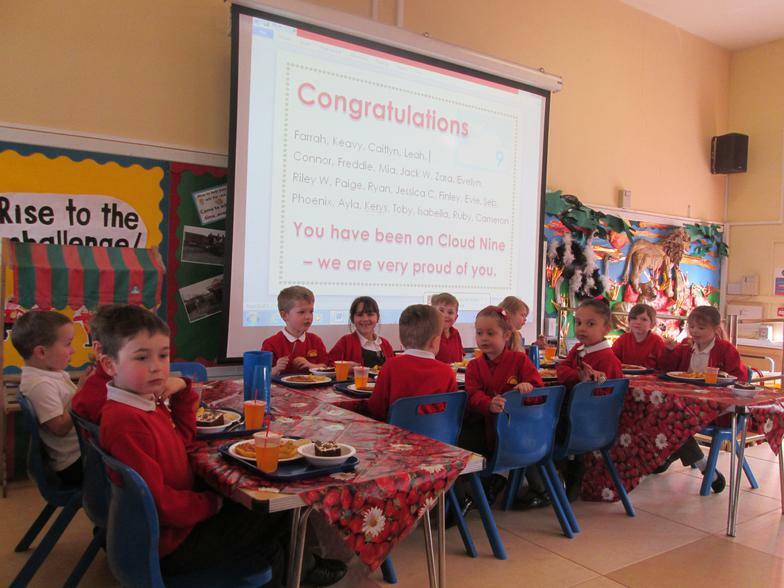 I look forward to the next Cloud 9 lunch in the Summer!